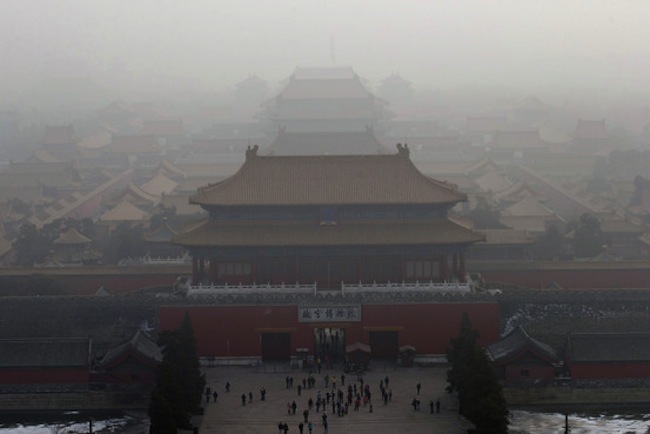 What should the Chinese Gov’t do about its Air Pollution? The runaway economic success story of the past decade, China has earned plaudits from developed economies across the globe, primarily for its attempts at free market trading and widespread economic liberalisation, but also for its attempt to become an environmental trend setter by embracing newly developed clean technologies on mass. The country has managed to successfully avoid the same austere conditions many of its fellow economies of scale have had to contend with over the past six years, and although the country’s rate of growth appears to have slowed somewhat in the last few quarters, its ambitions certainly haven’t. Despite its many successes, China is facing a number of challenges – controlling its often volatile rate of inflation, rooting out corruption and black market operations and modernising its energy infrastructure, the latter of which has perhaps the most telling impact on the one billion-strong Chinese population. China’s communist party leadership opened its doors to the outside world for the first time at the turn of the millennium, giving the world what was at the time a rare glimpse into the globe’s largest secretive nation. Since then, the development of new trade links have allowed the Chinese economy to gorge, resulting in a period of near exponential growth. With that however, in a twist of fate which could be views as China becoming a victim of its own success, the country’s larger cities, Beijing and Shanghai in particular, have seen its air pollution levels soar, and smog become a regular eyesore on the cities’ otherwise inspiring skylines. A number of factors contribute to China’s smog issue, with the main being that coal plants generate roughly 70% of the country’s power, and in doing so send millions of tonnes of harmful suphur dioxide into the atmosphere. Although it may appear as if the strict authoritarian voice of the Chinese Communist Party would be enough for energy suppliers to make an effort to curb emissions, China’s governmental structure is regionally fractured, and many decentralised governments in the outlying areas simply ignore new energy protocols decreed by the central powers in Beijing. Shoppers and commuters making their way around the country’s sprawling urban centres sport protective facemasks as part of the daily norm, with designer fashion masks flogged by well-known brands worn by many. Children, the elderly and pregnant women are among the most at risk. The problem is so extensive that the poor condition of China’s air led to 1.2 million premature deaths in the country in 2010 alone – the fourth largest cause of the death in the country, behind smoking, high blood pressure and dietary issues. Three years prior, a study by the World Bank concluded that 16 of the 20 most polluted cities in the world are in China. China’s air pollution problems persist despite a slew of measures introduced by Beijing, with food safety and clean drinking water initiatives replaced on the political agenda by smog tackling projects. Most recently, the Chinese government has agreed to cooperate with authorities in Japan and South Korea to monitor the levels of air pollution drifting through the East China Sea and the Sea of Japan. The effort will see new levels of cooperation between the three neighbours, all of which have had to contend with the same environmental impediments. Although Chinese lawmakers have laid out plans to invest more in renewable energies and to wean the country from the its dependency on coal, its motor industry is predicted to present a more stubborn challenge, despite new fuel emission standards in some major cities requiring cleaner fuels than is demanded in more developed European urban centres. The amount of consumers buying motor vehicles in China surpassed that of the U.S. in 2009 and of Europe in 2012. Ironically, a congestion tackling measure trialled during the 2008 Olympics in Beijing has contributed to the explosion in car ownership in the country, with a requirement for cars with licence plates ending in odd numbers and even numbers using the roads on alternate days leading to more consumers buying two cars – one with each type of plate. In order to combat the rise in pollution, Chinese consumers – perhaps the most powerful group of buyers on the planet – have done their part to curb emissions. Protests by citizens opposing the construction of new chemical plants and dumping sites have already yielded results – in particular in Xiamen and Dalian – and more of the same initiative will be needed to combat air pollution, the country’s most grave environmental health threat. Next Is Cash Making a Comeback?